The US President Donald Trump and Israeli Prime Minister Benjamin Netanyahu made addresses, vowing to make a renewed effort for peace with the Palestinians. Trump made his point, saying Iran ‘can never, ever’ have a nuclear weapon. 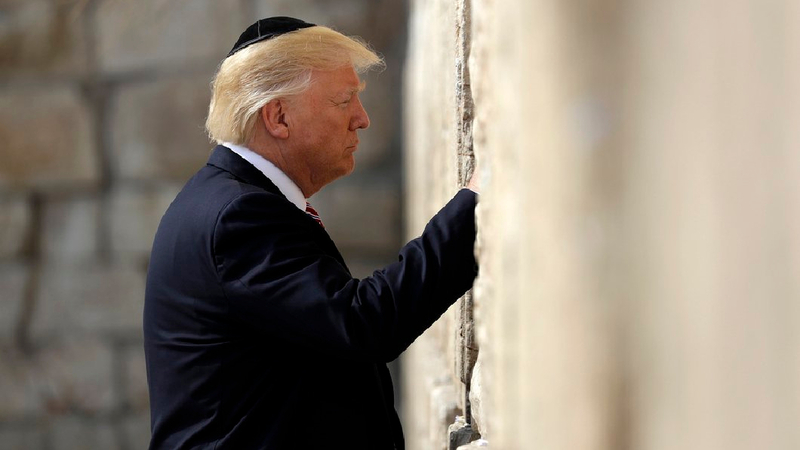 Trump underlined he reaffirms the “unbreakable bond of friendship” between the US and Israel, and added that the was “deeply moved” by his visit to the Western Wall earlier the same day. “It will leave an impression on me forever,” Trump said. Earlier Monday, after arriving in Israel, Trump said he was “very, very honored” to be visiting the country. “We have before us a rare opportunity to bring stability, security and peace to this region and its people — defeating terrorism,” he said. Trump’s two-day visit will also include a meeting with Palestinian Authority President Mahmoud Abbas in Bethlehem and a visit to the Holocaust memorial Yad Vashem on Tuesday. Trump’s two-day visit will also include a meeting with Palestinian Authority President Mahmoud Abbas in Bethlehem and a visit to the Holocaust memorial Yad Vashem on Tuesday, 23.05.2017.